I never realise that I have a big bunch of good friends till I have to say good bye. I have been busy catching up with friends and attending my farewell meet ups recently. Still have 7 more appointments to go before I leave KL for good. Rest assured, I will miss them loads. Following from my last post on my last day at work, I went out for a movie with my brother and cousin after work and treated them with Japanese at Sushi Groove. Didn't take pictures this time round, do check out my previous review here. The next day I declared myself as officially jobless, dragged myself out of the bed in the morning and headed to Isetan for retail therapy (yippee!). After a few rounds of card swiping sessions, I met timothy from 3meals.com for farewell lunch at Din Tai Fung. Thanks to tim for the treat and his precious time. I lost count on how many phone calls he picked up when having lunch :D Also didn't take pictures this time round, check out my previous review here. 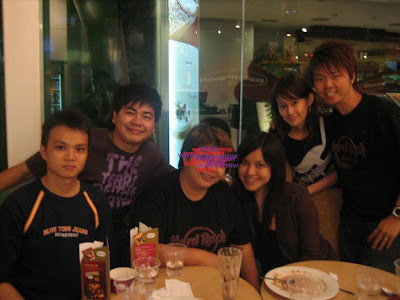 Fast forward to dinner time, I met up with the floggers gang (wmw, jason, christine , chris and ekeng) for farewell food crawl at Jalan Alor. Ekeng who pengsan-ed while waiting for the food to be served. Luckily the food that was finally served made the long wait worthwhile. 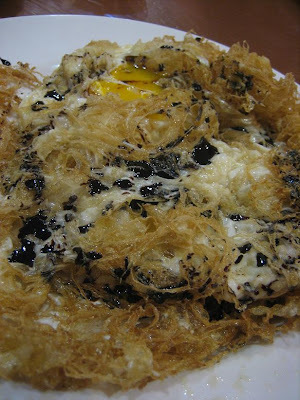 We had crispy fried egg drizzled with soya sauce (RM7), seafood beancurd (RM16) and butter kailan (RM10). 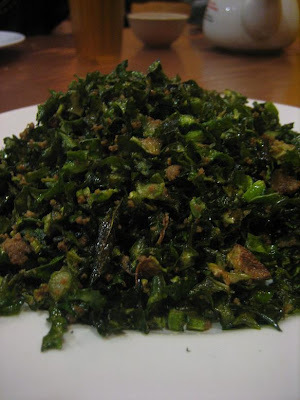 This is one of the few places I would recommend for simple yet delish homecooked dishes. 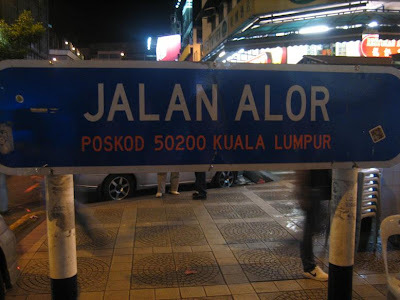 Despite the short of water supply, we still made Jalan Alor our next stop for our food crawl. 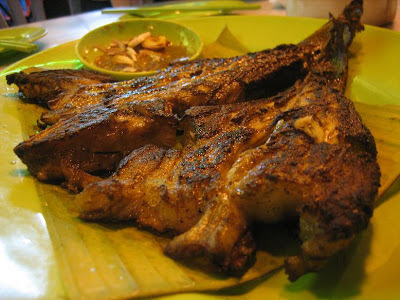 We had grilled fish (RM15), grilled squid (RM15) and escargot-like shell fish (RM20). I enjoyed every bite of the lovely dishes. Yes, I suggested having desserts. 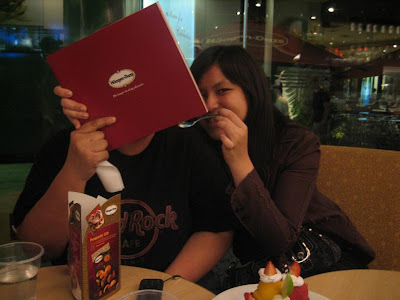 Yes, we walked all the way from Jalan Alor to Bukit Bintang for desserts. 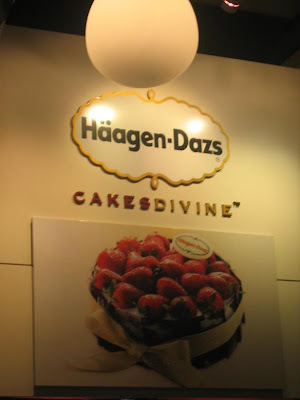 Yes, I agreed stopping by Haagen Dazs for desserts. Yes, I was the only one who didn't order any desserts. 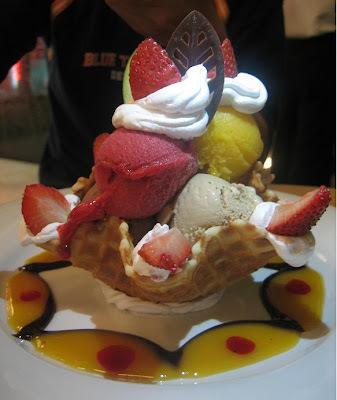 Jason's flower blossom (RM29.90) - choose 6 ice-cream flavours of your choice served in a waffle bowl. Christine's cookie crunch (RM22.90) - cookies & cream ice cream served with crushed cookies chocolate sauce and whipped cream. 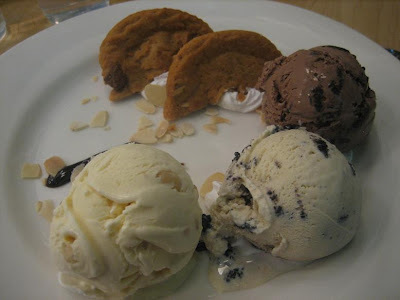 Wmw's macadamia nut crunch (RM26.90) - soft baked cookies served with cookies & cream, cookies & chocolate and macadamia nut ice-creams. 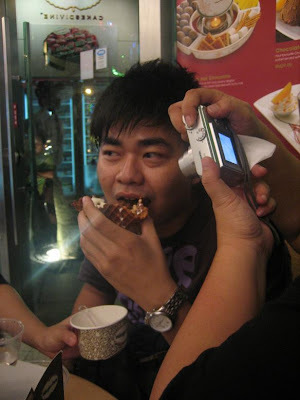 Ekeng's haagen dazs moment, with disturbing food paparazzi. Christine & Chris' sweet moment. Made me wanna share the same sweet moment too. 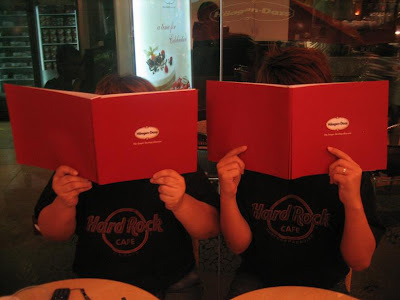 Guess who was hiding behind the haagen dazs menu. How come you're paying for your brother and cousin and not the other way around? They should be treating you mah. Wah, 7 more appointments to go. You must be real busy this week. Let's go Palate Palette, my treat :p.
But i'm so enjoyed every moment with u guys. happy farewell. 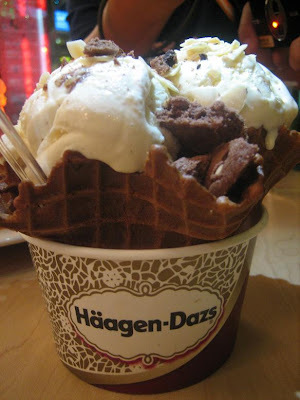 the haagen daaz must be a sweet feast! How come you lot all look relatively slimly built? 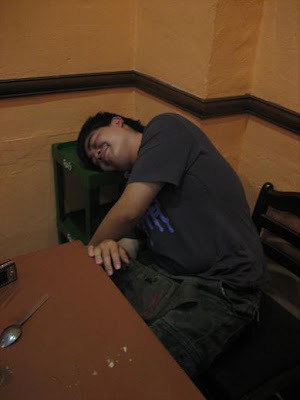 With these food crawls, you all shouldnt look like this at all! The fish dishes at Meng Kee made me hungry again soon after my dinner! waH! sounds like fun. memories to bring with u!!! 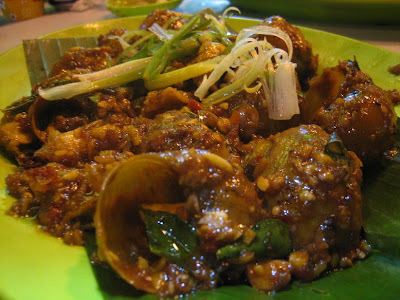 i went to the Muar Restaurant b4, having the same dish~haha. for a second I thought you spooned chris........ gosh my excitement went dissappeared as soon as I found out not............lol! I told everybody.."NOT MY FORK"
*ahem* who was late ah :p Next time we will get him to do a full fledge dance along the street. haha...yeap have to work out something new censoring techniques for her. yeap, it was a fun outing with you guys. 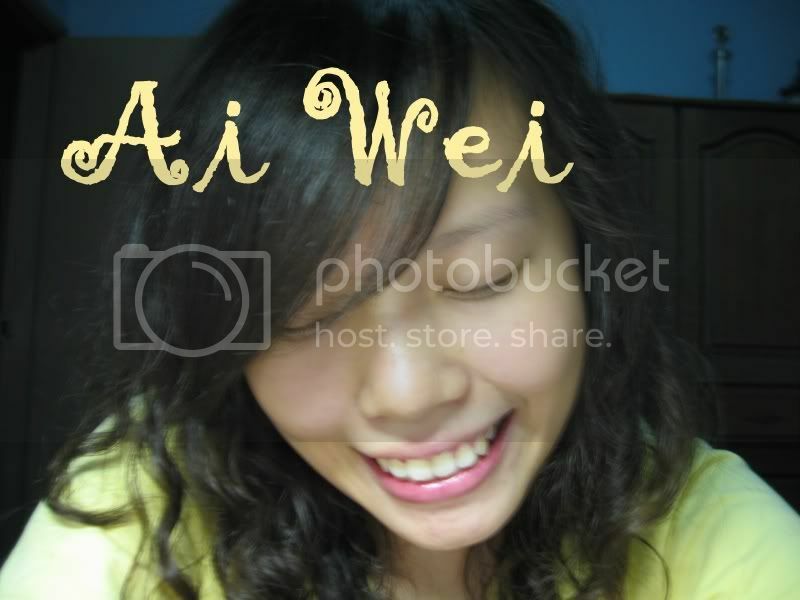 thanks to ekeng lar, not me :p and yeah, hope she likes her new eyeshadow. 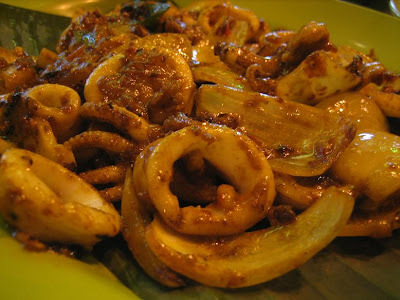 yeah,love the food from muar restaurant and their dainty chendols, slurp! heh heh...how did u find out ah? Wah lau...what's that on my eyes??? So colourful one ah? LOL! 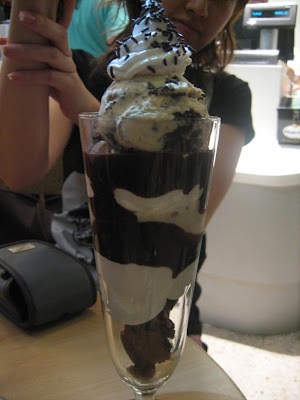 gilanya..haha why every1 ice-cream all multiple scoops 1..no wonder exceed daily calories..
well hope u slowly take ur time to finish all the crawls la! 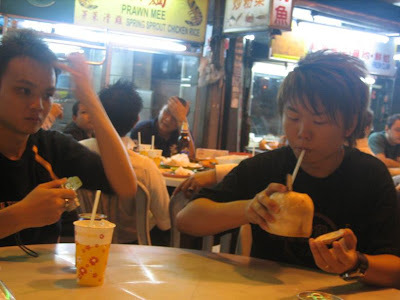 So next stop is Singapore ppl.. singapore food..?? Don't worry, Paul or Ben will give me discount. of cus have time for u lar lol... U figure out wat to eat k :) see ya when im bck. OMG... the haagan daaz is looks so yummy!! gosh..
is sad to hear that u are leaving soon.. i've been reading blog for quite sometimes and i luv all ur post.. Well, all the best in the future ya.. take care ya..
hey, thx for dropping by! 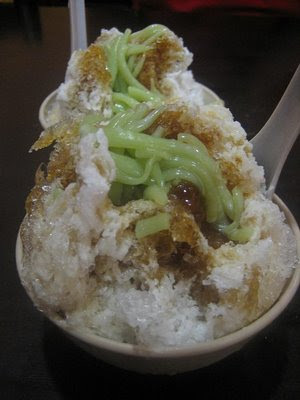 I'll still try to update on msian food reviews if i come bck to KL (to settle my bills over here...haha).